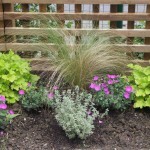 A corner plot provides a great opportunity to develop a side access into a useful and attractive side garden which links the front and back gardens. 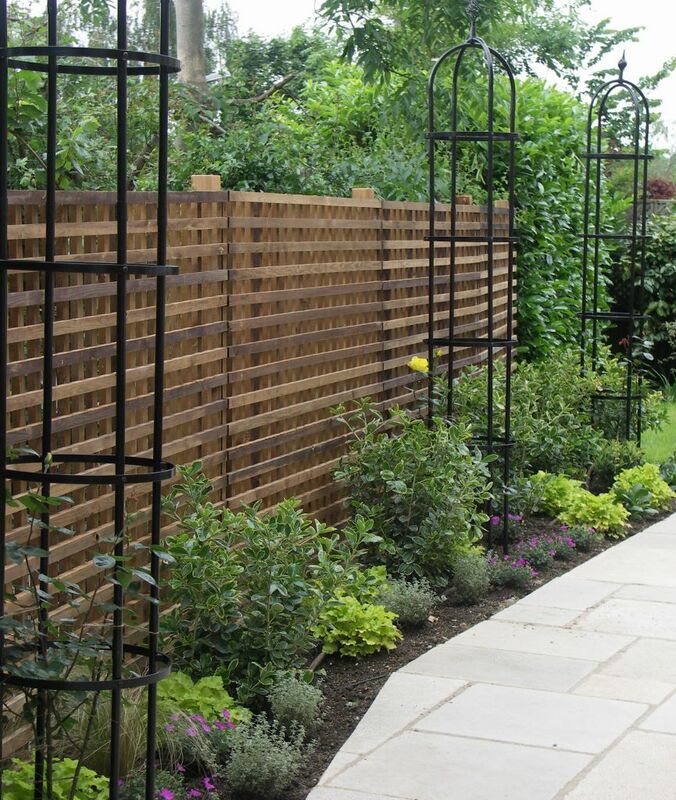 We included a new screened boundary in our design for this side garden in Mill Hill and light paving to give a bright aspect for sitting out. 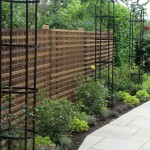 The side garden is next to a residential road and has a protected hawthorn hedge inside mesh fencing along its boundary. The hedge has been pruned and supplemented with new hawthorns for greater density. 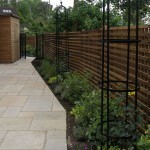 It is on a raised bank with retaining sleepers and a new lattice trellis fence on the inside provides extra privacy. 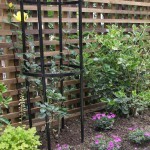 Variegated Euonymus ‘Silver Queen’ , cone shaped Box plants and rose obelisks planted with Rosa ‘Golden Showers’ will grow to provide good coverage against the lattice screen. 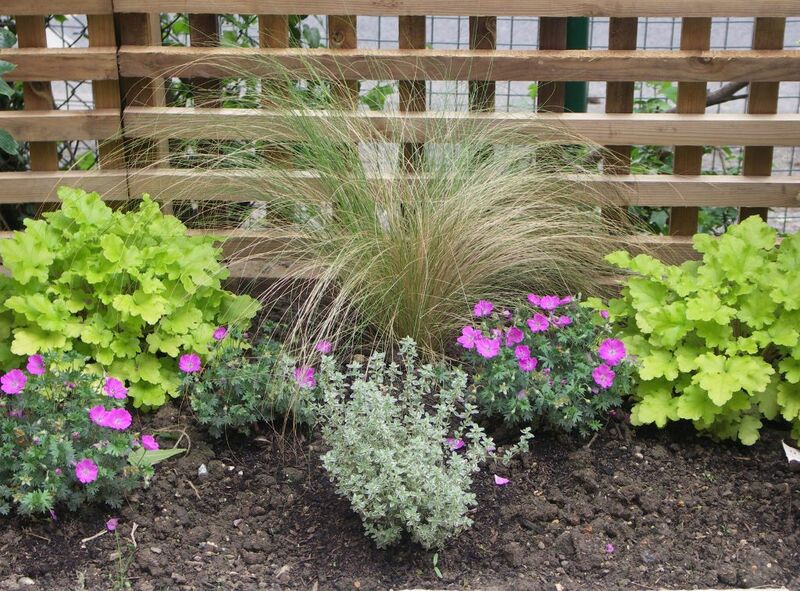 These shrubs are interplanted with Heuchera ‘Lime Marmalade’, Geranium ‘Max Frei’, Stipa tenuissima and thymes. The scheme is cheerful and provides a long period of interest. We chose Vintage Limestone as a robust and light paving. The side garden is wide enough to have a patio area on to the lawn at the rear of the property. The sunny end even has space to grow some vegetables and herbs. 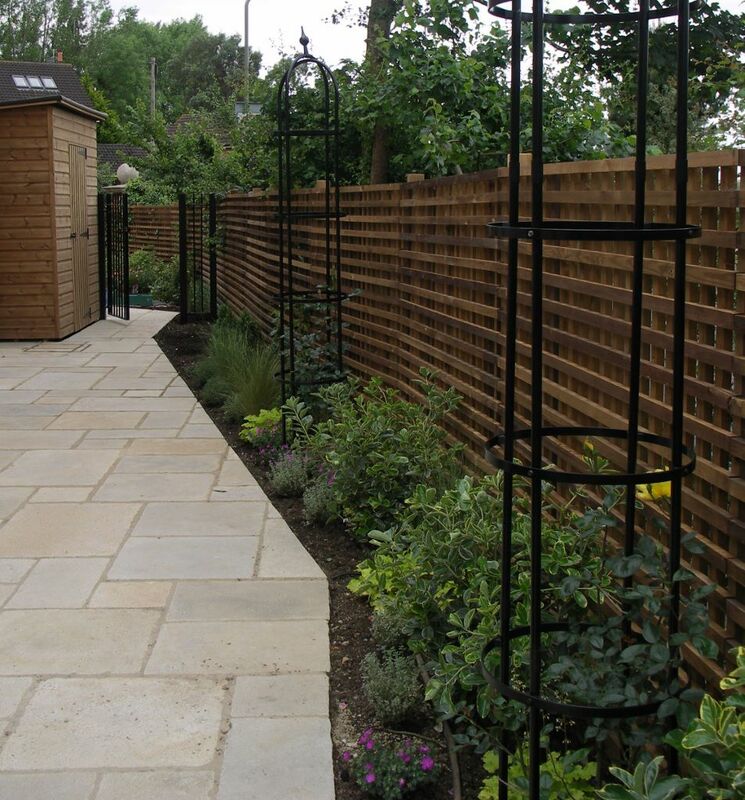 Beside the vegetable area is a useful shed and attractive gate and railings which match the front of the property. 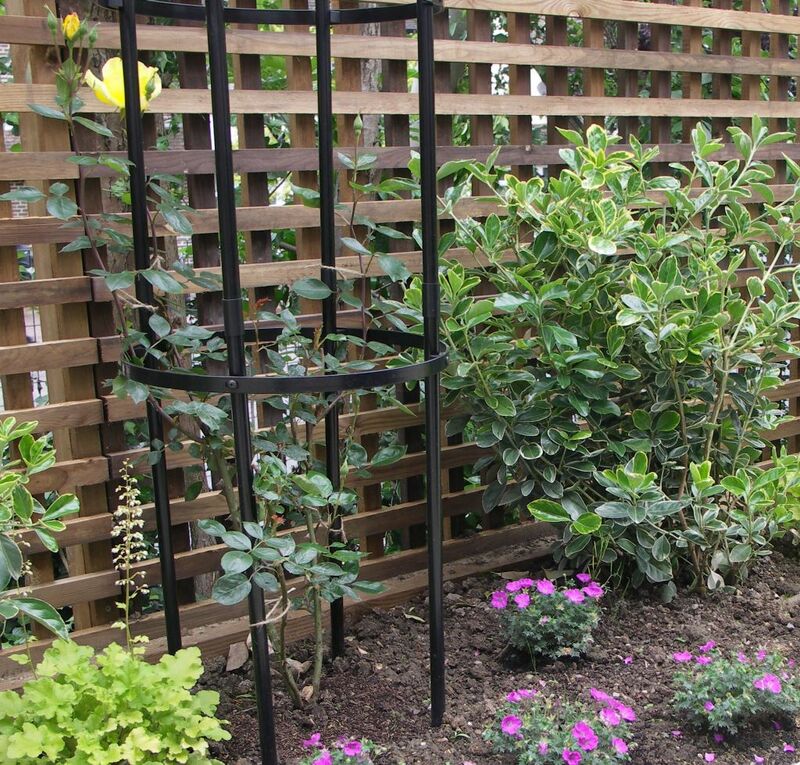 This entry was posted in Side Gardens and tagged boundary, corner plot, Euonymus 'Silver Queen', Garden Design, Geranium 'Max Frei', Hawthorn hedge, Heuchera 'Lime Marmalade', lattice trellis, Leaf & Acre, Mill Hill, North London, Planting Design, rose obelisk, Roses, Side Garden, Stipa tenuissima, Vegetables, Vintage Limestone on August 19, 2014 by admin.